Lightweight and inexpensive, the EarthWay Garden Seeder is the push planter for small planting jobs. 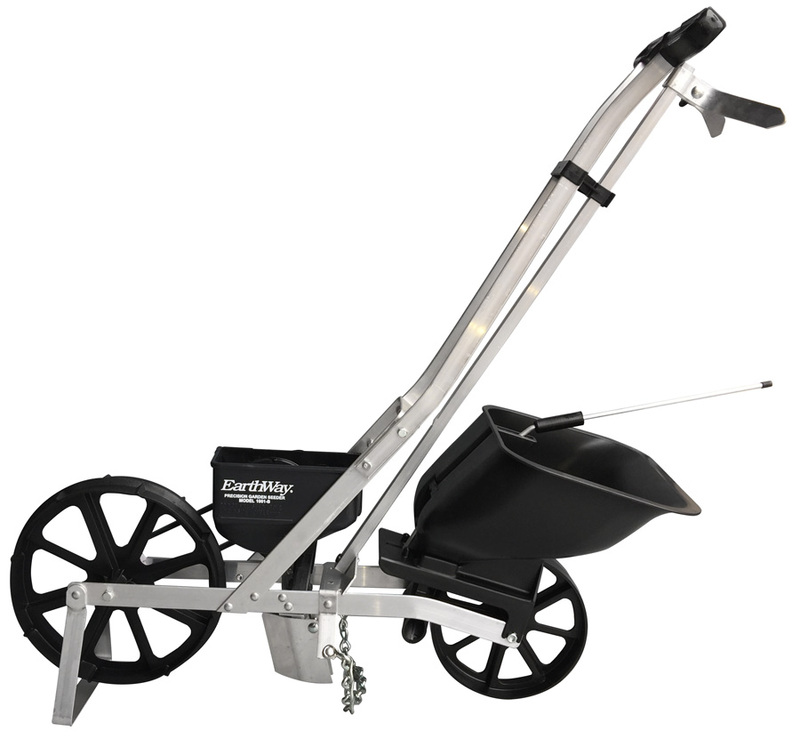 The EarthWay is handy for seeding trials, and can also be used to fill in skips in larger plantings. Each EarthWay seeder comes with 6 different seed plates: corn, bean, pea, radish, carrot, beet. Optional plates are available for additional crops: cauliflower/broccoli, cucumber, popcorn, lima bean, and carrot-light. Begin pushing in your well tilled soil. 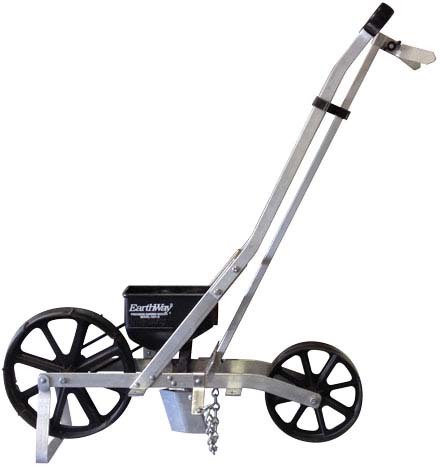 Each EarthWay Garden Seeder (1001-B) comes with 6 Standard Seed Plates listed below. If you need a "replacement-set" of standard EarthWay plates, order 1 each of the below plates ($6.50 per plate / $39 for all 6). 7.2" spacing. Will plant most varieties of sweet corn and some other larger seed types. 3.6" spacing. Also used for small peas. 3" spacing. Also plants jumbo and early June peas. Use bean plate for small peas. 4.5" spacing. Also plants lettuce, turnip, endive, cabbage, onions, tomatoes and other fine seeds. 3.6" spacing. Also plants okra, Swiss chard and other medium size seeds. 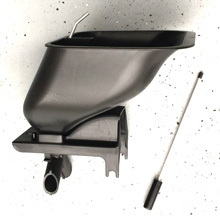 EarthWay seed plates ($6.50 ea) and a variety of replacement parts (wheels, belts, ground openers, etc.) can be purchased at our online store. Parts unavailable in our store can be purchased via phone. 9" spacing. Plants seed sizes less than .25" (6.3 mm) in diameter. Blank seed plate allows you to make your own custom plate with spacing and seed size you determine. You can adjust seed spacing by covering one or more holes in the seed plate with beeswax. If you find small seeds are getting behind the seed plate, dip the plate in soapy water and let air-dry. 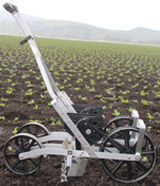 The revised Side Dress Fertilizer Attachment can be used with the row marker in place. 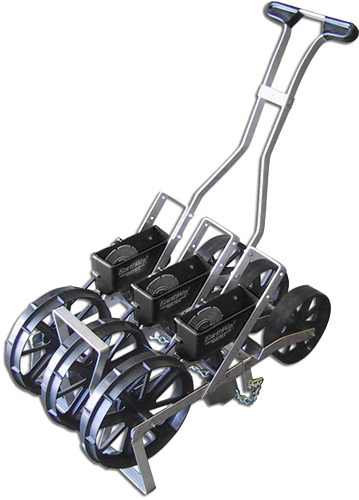 Calibrated slide plate allows precise flow rates of all granulated fertilizers. Fertilizer can be applied on both sides of the planting furrow. 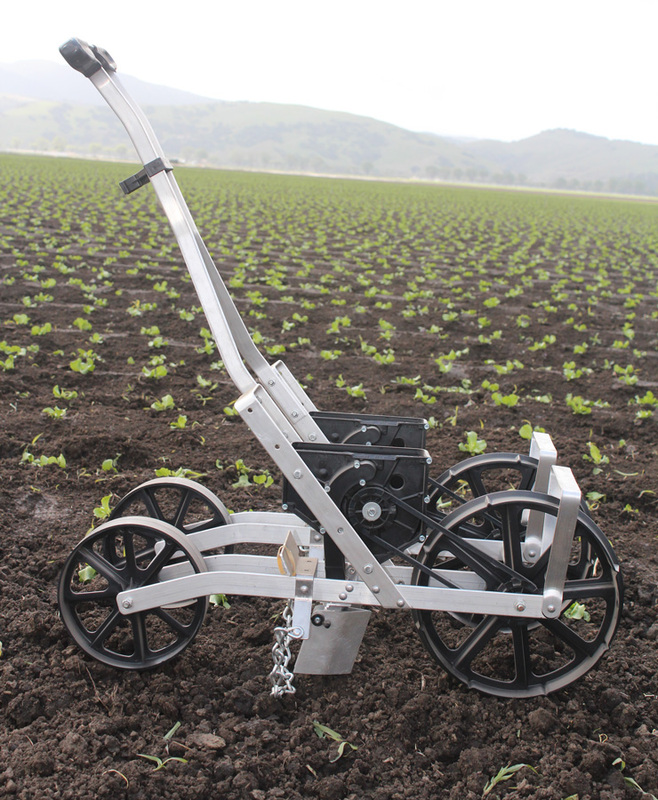 With our EarthWay Multi-Seeder, you can plant multiple lines at the same time. 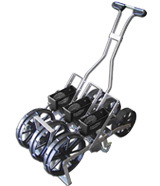 Two or more EarthWay units can be assembled with row spacings form 5-inches, up to practically any desired width. Units are attached together using all-thread. 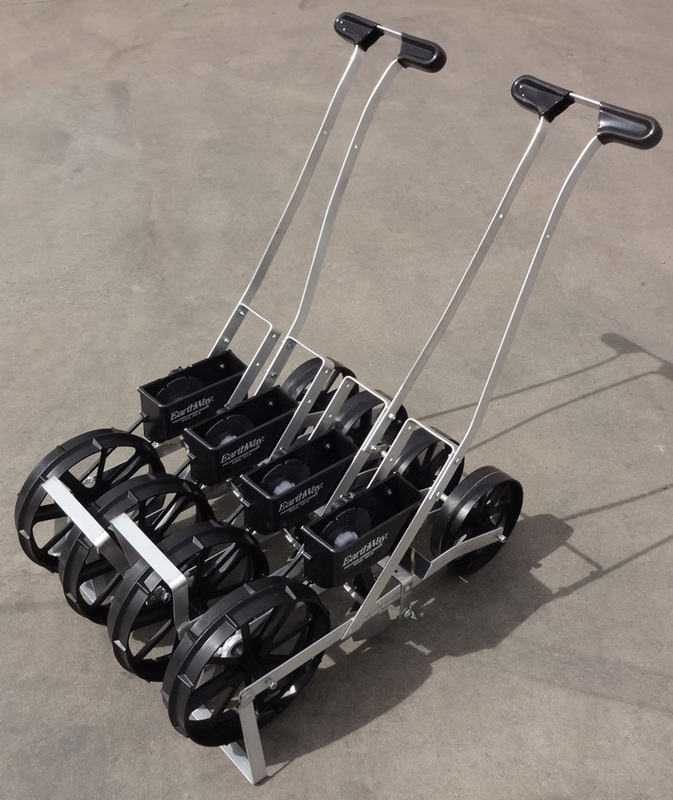 Multi-row EarthWay seeders can be equipped with a single handle as pictured with the 2 and 3 row units, or multiple handles as pictured with the 4-row unit. 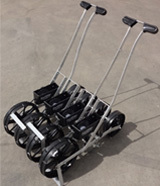 * Multi-row EarthWay units for sale at our online store feature standard row spacing. If you'd like to order a unit with different row spacing, please order via phone.